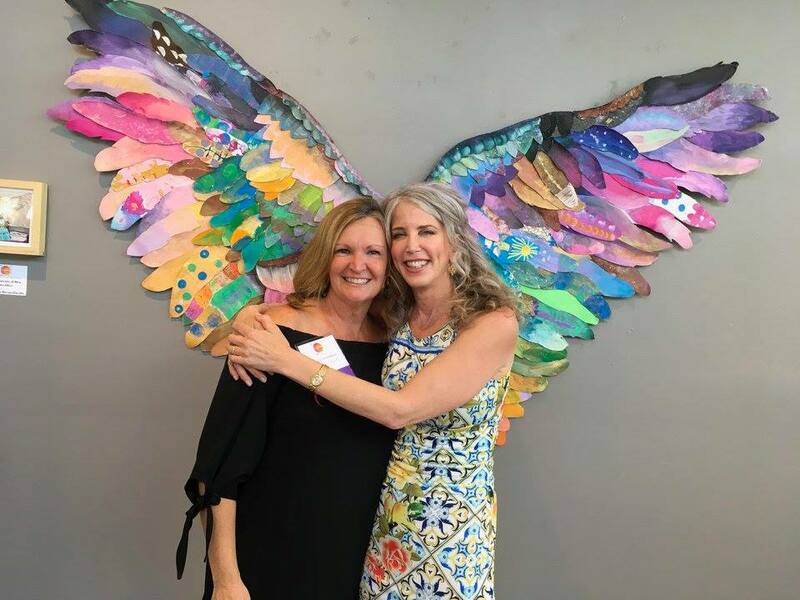 I am so grateful for Spread Your Wings™, my community arts program that first took flight at Dell Children’s Hospital’s 2017 “Art of Giving” event, in Austin, Texas. Spread Your Wings broke fundraising records for Dell, making it their most successful “Art of Giving” to date. Its genesis precedes “Art of Giving:” angels have long been an inspiration my art and Bobby’s art. We believe that angels are real, loving beings who provide guidance and support throughout our lives. When we discovered 18-year-old Ben Breedlove, whose YouTube video describing angels and a beautiful afterlife went viral after his passing, we were moved to create something that carried this message even further. “Spread Your Wings” at Dell united the children in creating a larger-than-life art sculpture of Angel Wings as a fundraising item: I cut out nearly 200 blank canvas feathers, in all shapes and sizes, so that each child would have a feather to paint in their own, unique way. The painted feathers were incredible: back in my New York studio, I began integrating my own artistic sensibilities, and it was as though the final Angel Wings assembled themselves. 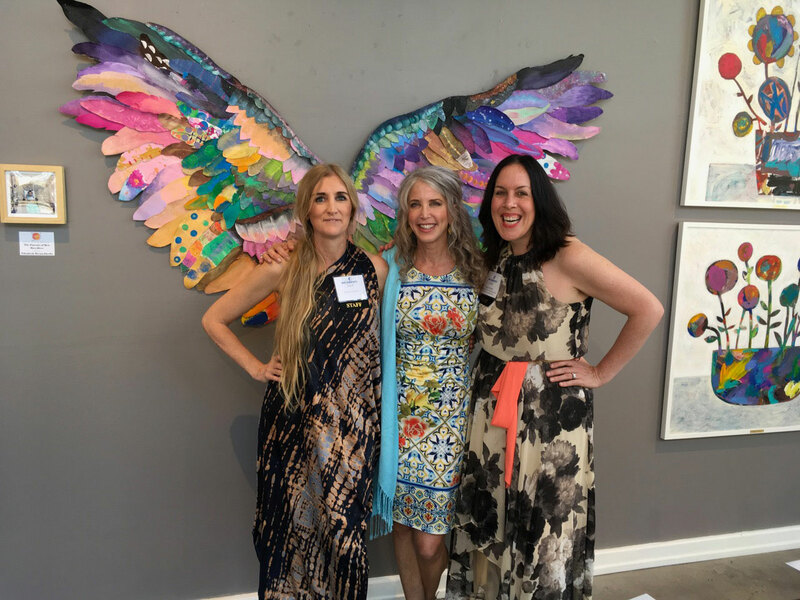 They had incredible beauty and energy; when they left my studio bound for the “Givers Gallery” event in Austin, there was a noticeable change in the air. At the event, I learned that the Angel Wings had been purchased by the Breedlove family, and donated back to Dell Children’s for their new Regional Heart Center. There, they will forever bring hope, joy and connection to every child who passes through their doors. Now, through The Spread Your Wings Project, Bobby and I are committed to helping as many individuals as possible connect with their Angels through this remarkable program. And, we know that Ben Breedlove is watching and smiling as all of this unfolds. 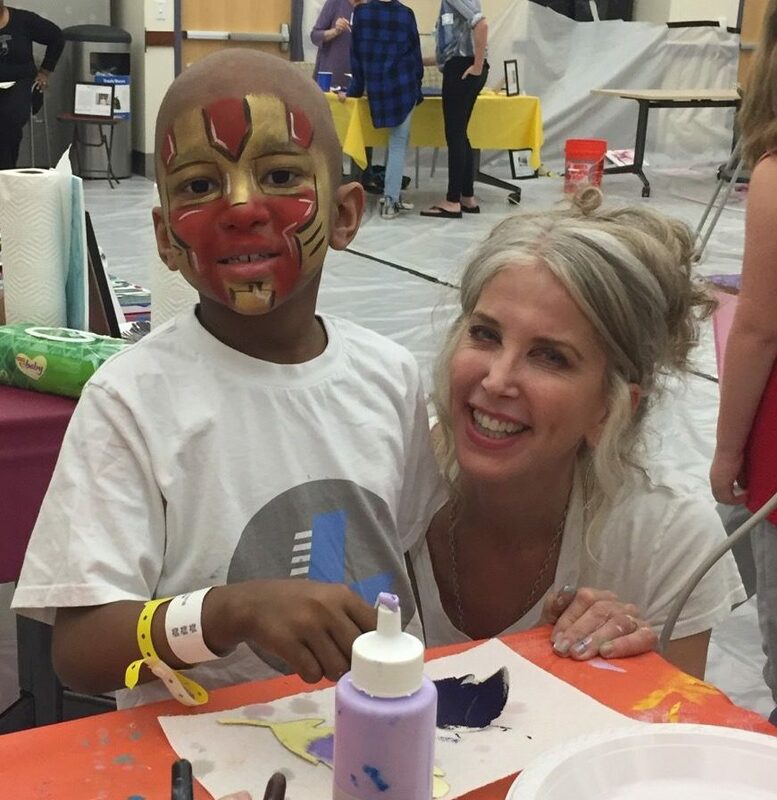 Many thanks to Susan Hewlitt and Suellen Brown of Dell Children’s Medical Center Foundation, Deanne Breedlove, and of course, Dell’s unstoppable Art Therapist, Elizabeth Hendley, who singlehandedly put “Art of Giving” together 5 years ago.